This update is long overdue. 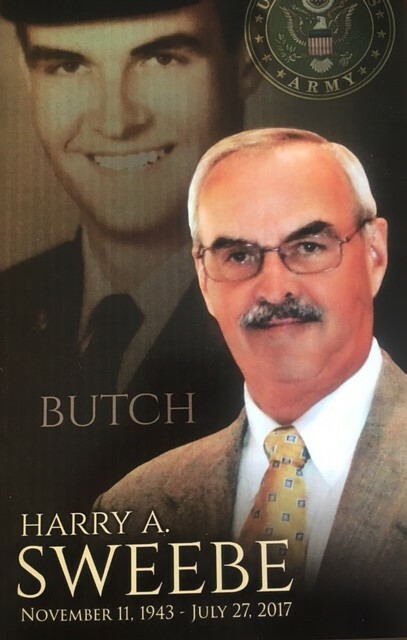 Many of you are already aware of this; however, for those of you who may know us only through our website, I want to share this tribute to my incredible husband, Harry. I have left Harry’s Story on the site as a reminder of how Ministries of Hope came to be. Often referred to as my “Handsome Hubby Harry”, Harry was “the love of my life!” We first met when I was two and he was six. Of course, we waited several years before getting married! Harry was known for his strong work ethic, servant’s heart, and especially his wit. He was the best husband, dad and Pa anyone could hope for. He cared for his neighbors and was affectionately referred to as “the Major of Lantern Lane”. He was a proud Veteran, honoring our country with his service which included a tour of duty in Vietnam during our first year of marriage. Several months prior to our 50th wedding anniversary, Harry was diagnosed with squamous cell carcinoma on the jaw. You never know how you will react when you hear the word “cancer” until you actually hear it. When we did, we were both stunned and concerned, but not afraid. We knew our gracious LORD would walk beside us throughout this journey…and He certainly did! About a year and a half later, he was diagnosed with a brain tumor…another type of cancer; glioblastoma! Once again, surgery went well; chemo and radiation to follow. A year later, another blow…Harry suffered a major stroke which took out his communication center. Two and a half weeks later, it took his life. Throughout the three years of Harry’s battle with cancer, I kept our family and friends informed through email updates so everyone would have the same information at relatively the same time. I have posted snippets of those updates in the blog section to give you a sense of how powerfully the LORD carried us through this incredible journey. I hope they will inspire you if you are in a similar journey or that you will share them with someone who needs the encouragement. As a result of the past four years, I have come to understand that verse much better. We have witnessed the hand of God so often during this journey, up close and personal! That’s where the joy comes from. Such a privilege and comfort to know that our Creator GOD walks with us every day (whether we are mindful of Him or not); and when we are too weak to walk He carries us! When we stay focused on Him and His plan, He straightens our path and removes unnecessary obstacles that may hinder our journey. He covers every single detail! Such joy is found nowhere else. I appreciate all the prayers and support you have given to my family, this ministry and me…more than words can express.